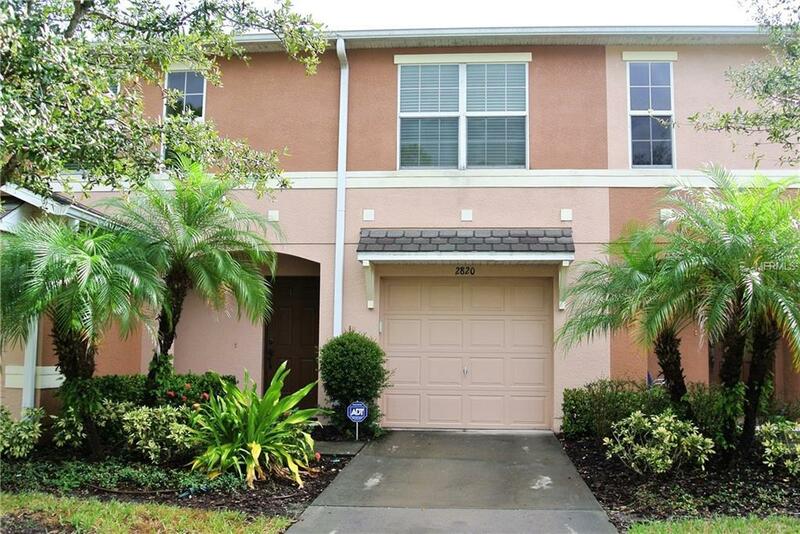 FABULOUS NICELY UPGRADED MODEL PERFECT 3 bedroom/2.5bath, 1car garage, maintenance free townhome in the GATED RESORT STYLE SEVEN OAKS community!!! Welcome to the light and airy open floor plan that features diagonal all tiled living and dining area. This contemporary designer kitchen features matching stainless steel appliances, granite counters and a big island perfect for food prep and buffet servings. The powder room is conveniently located in the first floor hallway. The beautifully laminated wood stairs and hallway flooring leads you to the spacious master bedroom with its on suite master bath and walk in closet. The second bedroom features wood laminate flooring ideal for an office/den set up. A spacious third bedroom, full bath and laundry room completes the second floor. Enjoy the best amenities Seven Oaks has to offer including, resort style community lap pool, splash pool/slides, clubhouse, theater, cafe, athletic club, tennis courts, volleyball, playground, walking trails and more. The neighborhood is conveniently located near top schools, The Shops at Wiregrass, Florida Hospital, Tampa Premium Outlets and quick access to I-75 & I-275. CDD fee already included in taxes. THIS LOVELY GEM IS MOVE IN READY and WAITING FOR YOU SO MAKE IT YOUR HOME SWEET HOME!! !